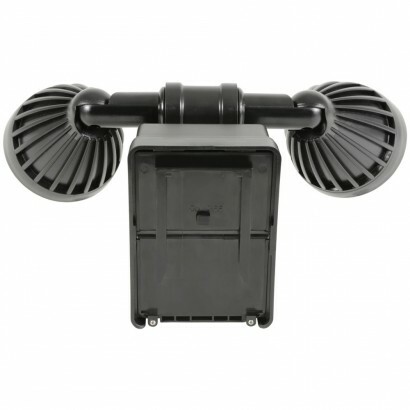 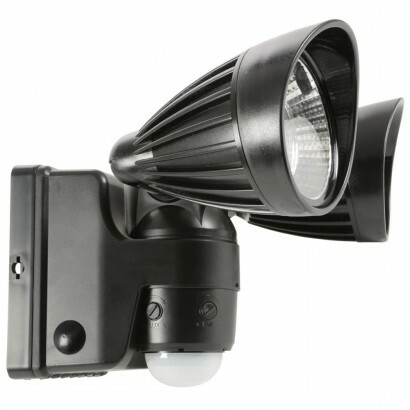 Battery powered and so easy and convenient to place, this high powered security floodlight shines with twin beams when triggered offering extra security to your home. 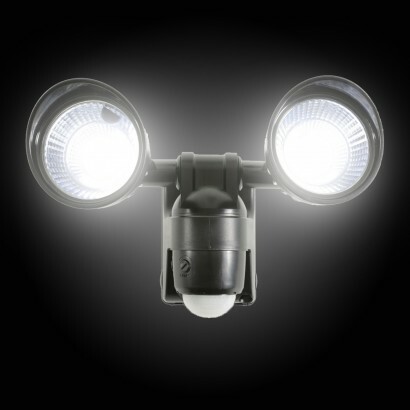 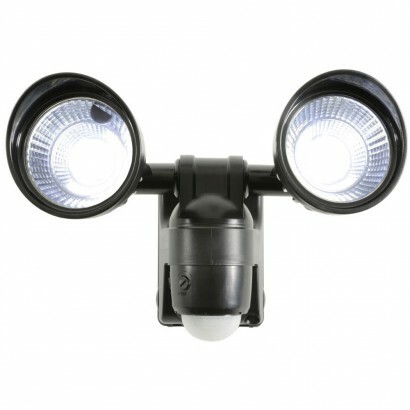 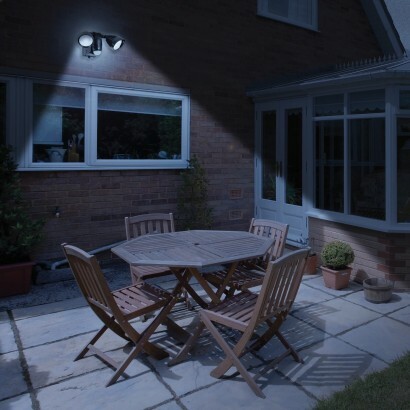 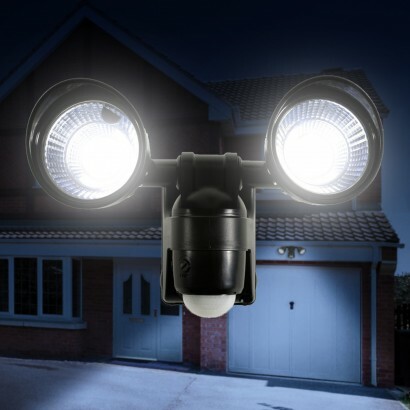 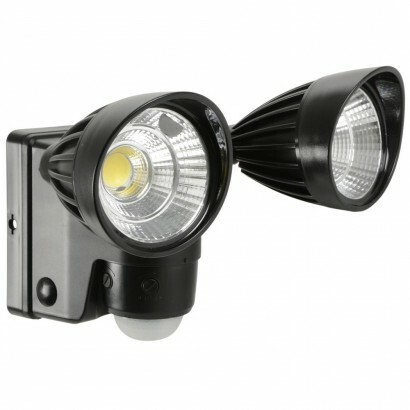 Weatherproof twin 3W COB LED's shine with an impressive 400 lumens of light over a coverage angle of 120 degrees whenever the light is triggered and with a PIR sensor that operates up to a 10m distance, you have a good range for home protection. 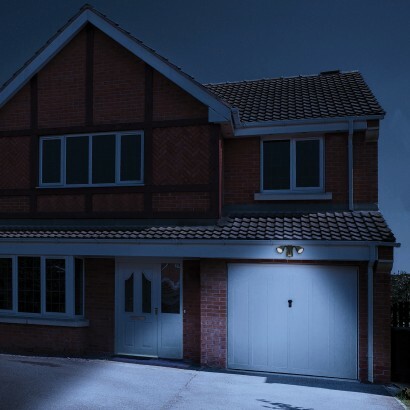 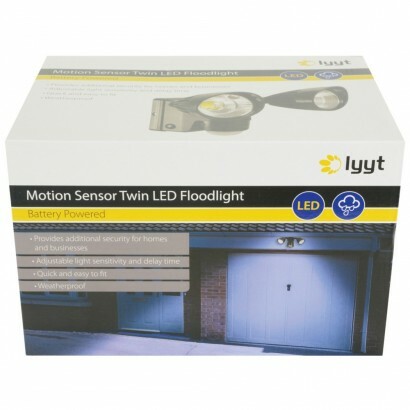 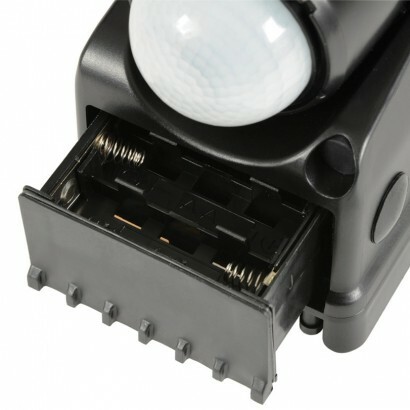 With an easy fit bracket and wireless battery operation, it's never been easier to fit security lighting that has adjustable light sensitivity and delay time too allowing you to set the brightness of your lights and the length of time that they stay lit for.